← Are Price Comparison Websites As Good As They Claim To Be? Unfortunately, not enough people review their car insurance premiums to see if they can get a better deal elsewhere. That may be because they cannot be bothered or don’t feel that they will be able to get cheaper car insurance premiums from another provider. 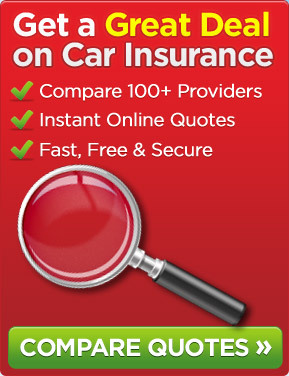 Have you considered reviewing your car insurance with a price comparison website? However, that is perhaps rather short sighted as the car insurance market is so competitive these days. The average premium for car insurance has come down in recent months although this may not be the case for female drivers due to the European Directive that came into force in December 2012. In reality, it does not take long to check to see if you can get cheaper car cover elsewhere. There are a number of ways of doing this such as contacting an insurance broker in the town in which you live, your bank, the Post Office or you could even go online. On the Internet, there are numerous car insurance providers so how do you go about getting quotes from some of them? Well, you could contact some of the insurance companies on an individual basis but that would take some time and involve you having to provide the same information about yourself, your car and a variety of other things to each of them. There is another way and that is to use the services of a car insurance price comparison website. They may not provide access to every provider of this type of insurance but they will no doubt use several different companies with some such sites having over 100 car insurance companies on their panel. The great thing is that you will only have to provide the information once and you will hopefully be provided with several quotes to consider. This can all be done in the space of a few minutes and it may even possible to set up the policy online. So, why not give it a go – you may save yourself some money. This entry was posted in News and tagged car, car insurance, Car Insurance Companies, Car Insurance Premiums, Cheaper Car Insurance Premiums. Bookmark the permalink.